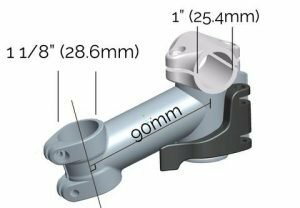 the steerer tube mount is 1 1/8″. 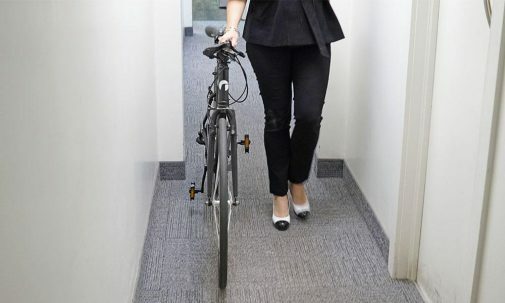 The average bike takes up almost 15 square feet (5 ft x 3 ft). 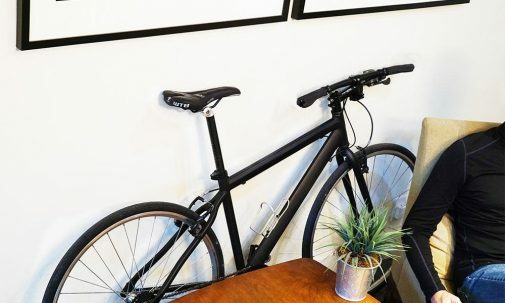 That’s considerable space indoors even in a large garage; In an apartment or cubicle, it’s massive–enough to send your precious bike outside. The Revelo THINstem changes everything. 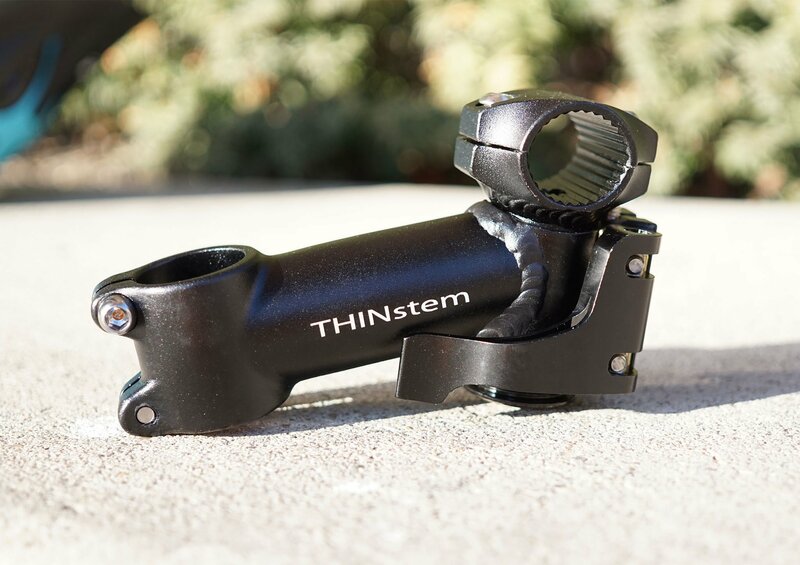 True to the original Flatbike mission of flattening your existing bike, this add-on stem pivots your handlebars 90 degrees in seconds with no tool, so your bike fits against a wall. It pairs well with pop-off pedals, which come automatically with every CHANGE bike, but we also sell separately at Flatbike. NOTE #1: If you have a CHANGE 702 commuter bike, get the 1″. If you have any other CHANGE bike, or any bike with a newer MTB style handlebar, get the 1.25″. NOTE #2: These are to replace “threadless” stems, where the fork tube extends above the frame. 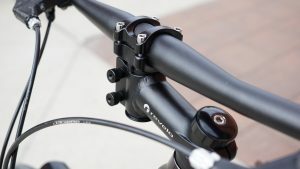 If your bike is older, and has a “quill” stem instead, you’ll need a quill stem adapter first. Keep your bike indoors to protect it from the elements. Store your bike cleanly against any open wall. Put more bikes in less space in a crowded garage. Carry more bikes neatly on a car bike rack. Slip your bike easily into “full” bike racks outside your dorm or classroom.